Winter came early this year! An unexpected chill came in November, covering the island and garden in several inches of snow. Students arrived to school sharing their audible excitement of the snow: "Is Farm to Classroom going to be inside or outside today?" "Today is tortilla pizza day!" "Can we please go outside in the snow?" 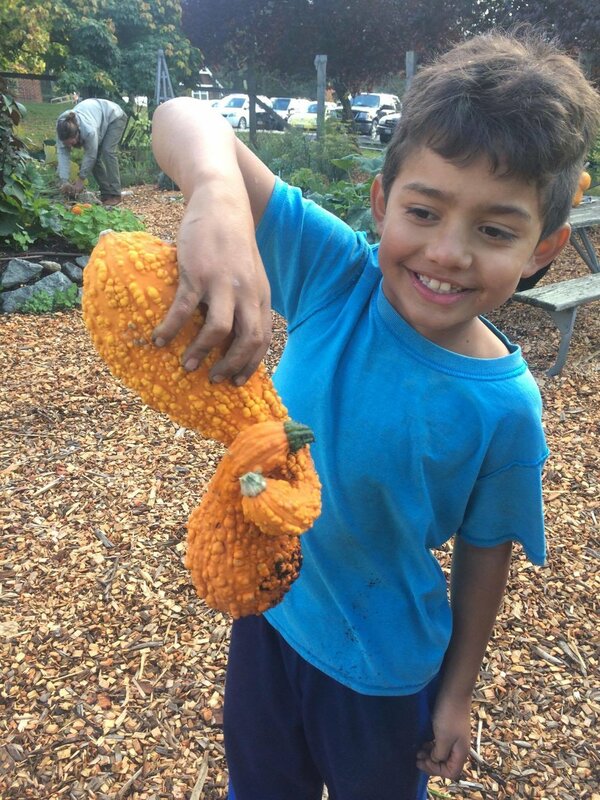 During the month of October, our elementary school students harvested potatoes, and enjoyed oven roasted apples, pears, and pumpkins. As the days became shorter and colder, we prepared the garden for the winter months by composting fallen maple tree leaves, collecting and sorting seeds, and removing old plant matter from beds. Our middle school students spent their classroom days in our culinary arts room cooking up seasonal dishes. 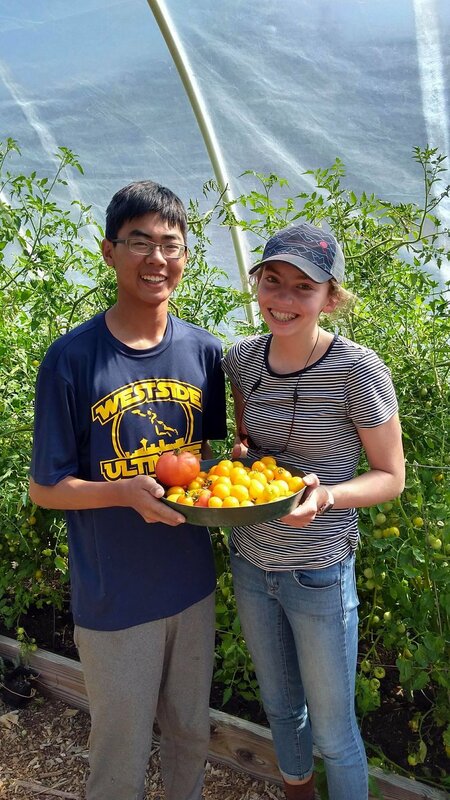 This summer our garden program was fortunate enough to partner with Camp Orkila's Teen Leadership Groups. Each week we hosted 10 campers to complete various garden-based projects. Each morning began with a walking tour of the garden whereby we identified and tasted medicinal herbs, berries, and flowers. Throughout their visit campers stayed busy weeding, pruning, adding mosaic to the cob oven, creating support structures for towering tomato plants, harvesting and hanging garlic, collecting blackberries, tomatoes, Chamomile and Calendula flowers, and reshaping our ever-expanding garden beds. I must admit, their efforts have yet to go unnoticed by all who have visited the garden this summer! The garden truly received the TLC it deserves. Thank you to all the campers who came to our garden with enthusiasm to finish the projects at hand, and left with blackberry stained fingers and teeth. We look forward to partnering with Camp Orkila again and again. 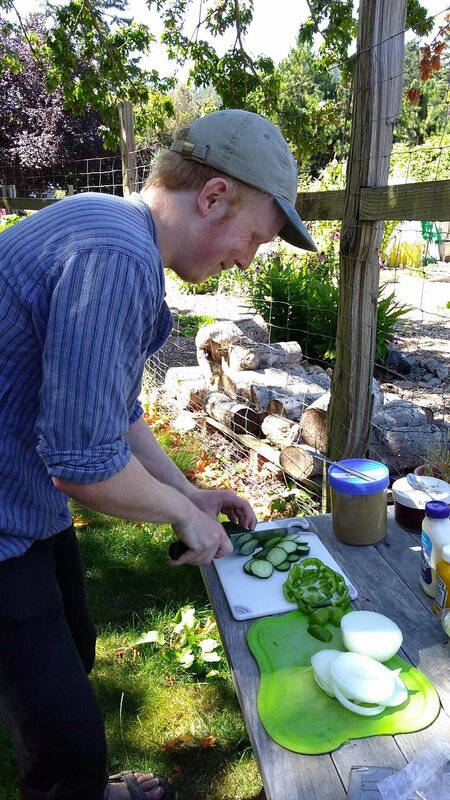 We welcome you to join us in the school garden this summer for Calendula salve making workshops and work-trade Wednesdays!